Solving high-tech problems begins with understanding of technology. We believe it’s essential to be technologically savvy in a world where technology is so much a part of daily life. That’s why we offer computing courses at Swinburne Sarawak. Our computing courses take you on an exploration of the ICT field. We provide the foundational knowledge and industry skills you need to apply information and communication technology (ICT) knowledge to a range of settings. For example, you’ll learn how to develop product and services that improve lives, or provide technical assistance to business and industry. It’s just a matter of choosing the course that suits your future career. By the time you graduate, you’ll have the confidence and skills to apply your knowledge to the workplace. An computing course could lead to a future in health, transport, finance, media, manufacturing, automotive and beyond. 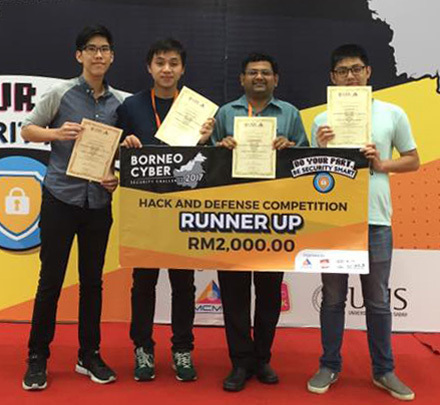 A computer science team from Swinburne University of Technology Sarawak Campus stepped up to the awards podium when they won second place in the Borneo Cyber Security Challenge. 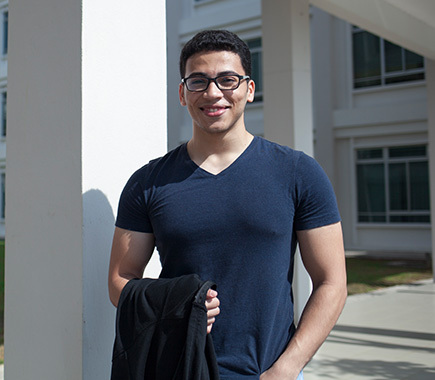 Swinburne in Sarawak offers a world-class education that is identical to its Melbourne campus, and at an affordable cost. The university has also helped me develop my interpersonal skills, critical thinking, teamwork and leadership through extracurricular activities. Swinburne’s Sarawak campus is so diverse, I am grateful for the opportunity to make friends from different cultures, backgrounds and races.